Isn't this bottle wavy bottle cute? 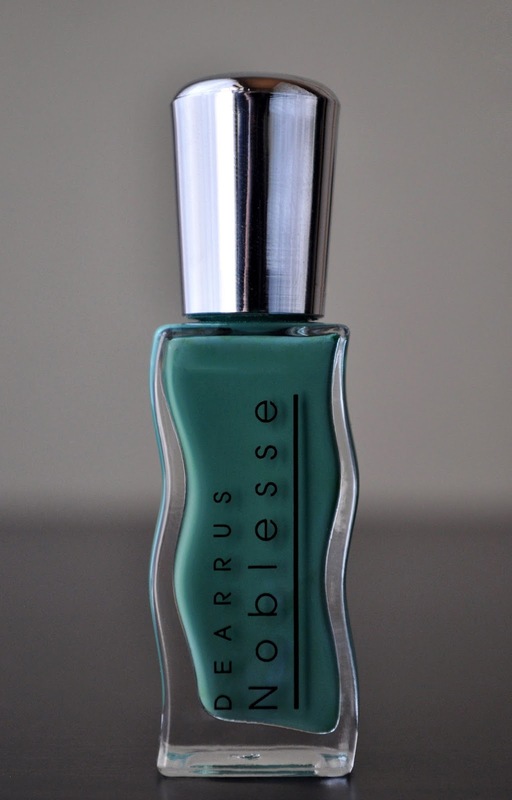 Deep from the recesses of my nail polish collection, comes Dear Rus Noblesse 336 Nobless. This polish was a given to me by my friend, Hazuki, some five years ago and, shamefully, this is my first time wearing it...ingrate, I know. I know nothing about this brand, but I remember Hazuki having returned from her millionth trip to Korea when she gifted it to me. So, I'll assume that's were this polish came from. 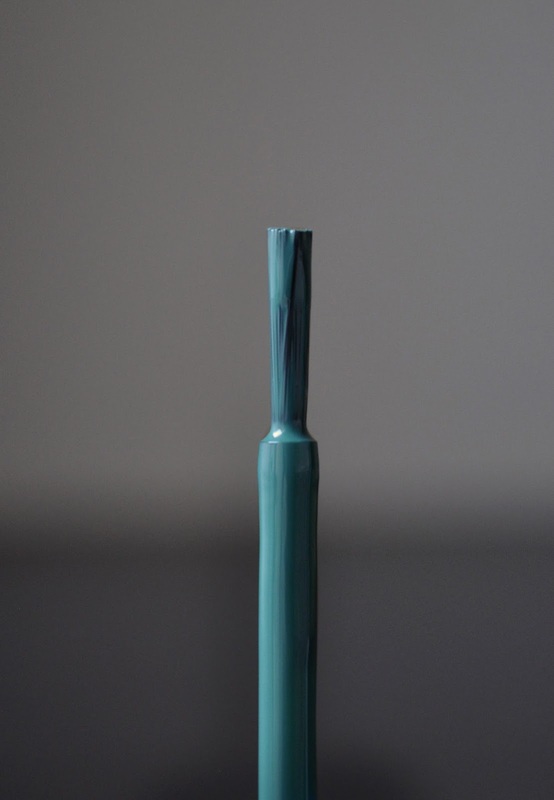 336 Nobless is a gorgeous, deep aqua green, with a shiny, creme finish. 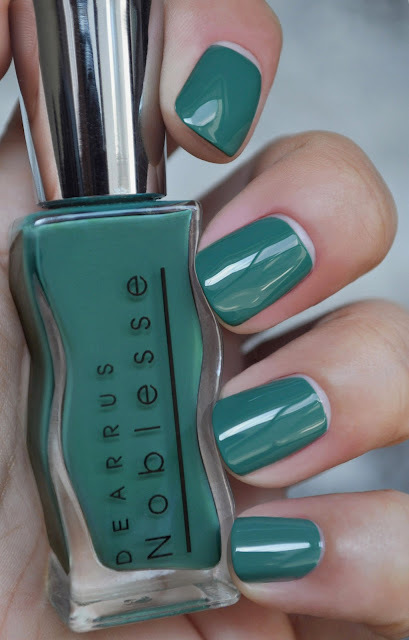 The formula's consistency is just right, and "problem-free;" one coat gives the nails a gel-like finish, and full opacity is achieved with two. The brush has the right about of resistance and flexibility, and fans out perfect on the nail. One downside to the product: the packaging. When I twist the cap to open or close it, it makes this "chalk board" squeaking sound that makes me cringe. I have to press the cap down, and slowly open it to avoid making the sound (always a fail). I've been wearing 336 Nobless for five days, and it's still shiny, and wear-damage free...paint me impressed! If I could, I would drop kick myself for not wearing 336 Nobless sooner; it's a pretty color, and nice formula. I wish I could get my hands on more of them.